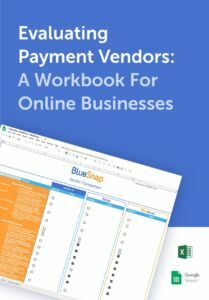 The integration of payment processing with value-added services such as recurring billing, a product catalog, and fraud prevention, means that BlueSnap customers have a single source for their reporting needs. The Powered Buy Platform™ has incredibly rich payment data that can deliver value to a variety of functional groups within a single organization. Below are just a few examples of how our customers use BlueSnap reporting and analytics to solve day-to-day business needs. A marketing manager must decide how to allocate the ad budget for the upcoming quarter. BlueSnap’s Cleanse Reports provide insight into the conversion health of geographic markets, shopper demographics, products, and sales channels (mobile vs. desktop). The manager notices that while shoppers from Country A are the most responsive to ad buys in terms of attempting purchases, their transactions are much more likely to be identified as fraud, refunded, or charged back. (S)he decides to double down on Country B, where advertising attracts fewer but higher quality shoppers, providing a higher ROI on ad spend. Read more about BlueSnap’s Cleanse Reports here. After combing through the data, the “payments person” at a mid-sized U.S. eCommerce business notices that they are getting a disproportionate amount of declines from Canadian shoppers. Conversion analytics reveal that payment conversions are significantly higher in Canada when shoppers are charged in CAD instead of USD. This allows the business owner to make a case for building a dedicated website for the Canadian market with a localized checkout experience. Read more about BlueSnap’s Conversion Reports here. Accounting is tasked with monthly reconciliation of all eCommerce transactions. The team relies on BlueSnap’s payout reports to reconcile the sales, refunds, and chargebacks processed in each currency on a summary and transaction level. Accounting is able to reconcile funds received for card and non-card payments, whether or not those funds were transferred from BlueSnap or from a 3rd party such as PayPal. Read more about BlueSnap’s reconciliation reporting here. Finance needs to provide consolidated as well as currency-level sales forecasts. The company is based in the U.K., sells globally, and receives deposits in USD, GBP, CAD, and EUR. BlueSnap’s multi-currency Sales Intelligence reports provide sales detail for all transactions in the local currency. Additionally, BlueSnap reporting incorporates the concept “Base Currency”, which allows the finance team to model company-wide sales in a single currency. There are other use cases for each of the groups highlighted above, in addition to those for Customer Support, Fraud Prevention, and Product teams. Reporting from a payment gateway can help solve numerous and varied business issues. BlueSnap’s reporting and analytics tools – Sales Intelligence, Reconciliation, Payment Conversions, and Cleanse Reports, make it easy to access the most important data, without having to generate custom reports.